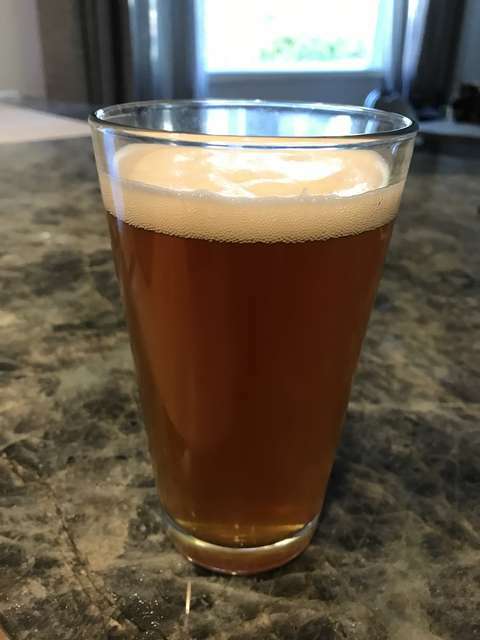 OK, the second batch of Taupo Eruption Pale Ale was finished carbonating on Sunday (kinda over-carbonated, actually), so I cold-crashed it then. Today I poured one out after a long day at work, and the results were pretty darn good, if I do say so myself! It was a slow careful pour, but even still it had a decent head. The nose fairly oozed Nelson Sauvin, and the flavour was like Sierra Nevada, but with a definite twist in the hops. Definitely not bad!